The purpose of this tutorial is to help you connect your Carrot site to your Zoho account. You’ll need access to your Zoho account. Check No to Enter Zoho AuthToken Manually, Approval Mode, and Workflow Mode for now. You can always change them later. Specify each field as you would prefer it to be mapped to your Zoho account. For custom fields, click on the Zoho Field Mapping select dropdown and scroll all the way to the bottom of the list to select the custom field option. Click Save Zoho Mappings when finished. 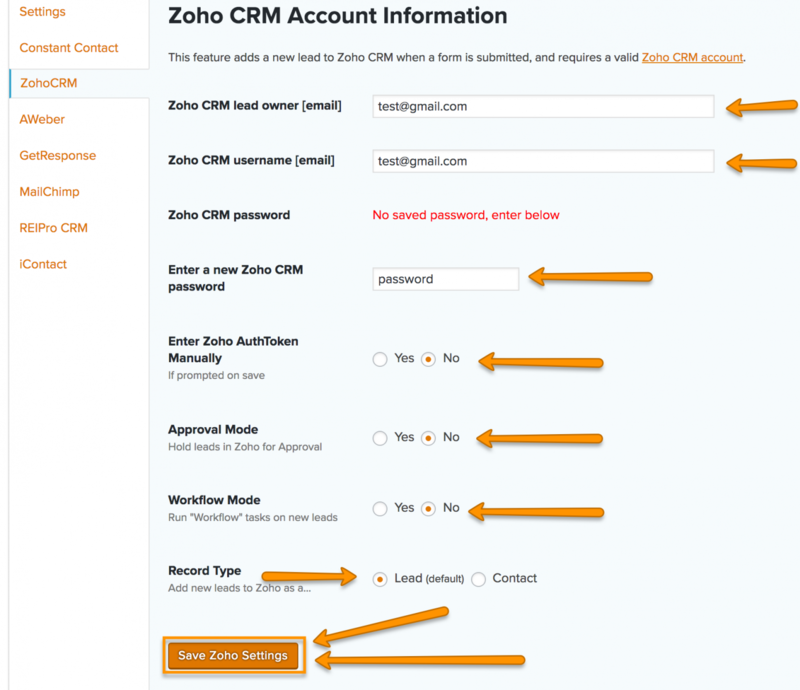 You should now be all setup with Zoho CRM integration. Note: If you decide to test your new Zoho form, be sure to use a valid email, as Zoho filters fake emails. If you want to learn more about Zoho as a management and CRM tool check out this overview here.